Incredible double flowers measuring up to 10cm (4") across! These spectacular begonias produce masses of enormous blooms all summer long. Perfect for beds, borders and containers, or a sunny windowsill indoors! Height and spread: 45cm (18"). Standard tuber size 3/4cm. 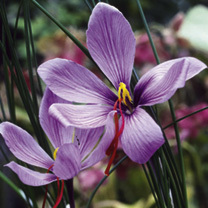 Useful links:How to plant bulbs, corms and tubersCulinary information: Add the bright coloured petals to sandwiches or salads for a light lemon taste and crisp texture. For more details about edible flowers click here. Attractive Deeply Cut Plum/Purple Foliage.You have got to love the intense plum colour of this trailing Heuchera with a light silvery overlay.Pre Planted into these delightful authentic rattan baskets, as the season moves on and they develop enjoy the warm winter colour ,and as Spring pokes its head the delicate light pink flowers borne on short stems taking you into Summer. Stylish and elegant this fabulous Greenfingers Crotone Steel 6 Armchair 150cm Rectangular Dining Set is perfect garden furniture for entertaining al fresco on warm summer days. It is both attractive and contemporary in appearance and will complement any modern garden. The superb table features black powder coated steel framework with 8mm tempered glass and there is a parasol hole is in the centre to allow for shading should the sun prove too much. The comfortable chairs are made from powder coated steel making them lightweight and durable and the seating is made from poly-textile which is a great material should any sudden showers strike as it is very quick drying. The chairs are also stackable for ease of storage.This Greenfingers Crotone 6 Seater Set is the ideal size for your patio or decking and it complements any style of garden. It is a great quality garden furniture set that makes a great investment and is well worth the money for its durability alone. 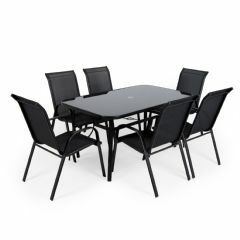 8mm BS7376-2009 glass standard Dimensions:Table: L150 x W90 x 71cm highParasol hole: 5cmChairs: W54 x D75 x H95cmArmrest height: 60cmLoad capacity: 120kgPlease note: all garden furniture should be stored in the winter and caution taken during windy conditions. Please do not leave a parasol in the table unattended. Greenfingers recommends that all furniture is protected during the winter either by covering with furniture covers or storing the furniture indoors. All Greenfingers Garden Furniture arrives flat-packed and will require some assembly. Become an instant bulb expert in no time at all with the ingenious Plant-O-Mat Drop in Bulb Pods! This Classic Allium Mix will produce an amazing spring display with the absolute minimum of effort… The designer ‘Bulb Pods’ will be delivered with your bulbs ‘in-situ’ and in their ideal spacing so you will get picture-perfect colour-themed displays each and every spring! Simply dig a planting hole in your garden, pot or trough, drop the entire ‘Bulb Pod’ in, cover with compost or soil, water and wait for great results. It really is a case of DIG – DROP – COVER – your results will astound friends & familly and there’s no need for dirty hands. The totally biodegradable ‘Bulb Pod’, will itself disappear with a few weeks from planting, leaving the bulbs in the perfect planting design – in spring you will get a fabulous display that looks just like the picture! This Classic Allium Mix includes 45 bulbs that have been carefully positioned into a complimentary design that will look absolutely stunning when in flower. You’ll get a neat and professional looking display that your neighbours will be jealous of. Classic ‘Bulb Pod’ – Round in shape, each one is 36cm diameter and contains 45 premium quality bulbs that are all guaranteed to flower next spring! Perfect for large pots, beds & borders. Enliven your pond with a fountain! 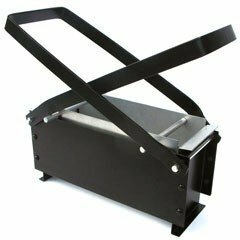 Our solar powered kits are powered by a 0.8 Watt solar panel, attached with a 3m (10′) cable, allowing flexible positioning. The pump is fitted with suckers for bottom mounting or can be used with a float in deeper water. With no wiring, they’re easy to install or reposition, and come with 3 different fountain heads for different effects. And they oxygenate the water too! Diameter 16cm (61/4). Sunjet 300: A rechargeable battery runs the pump during dull or dark conditions and 2 white LEDs switch on automatically at dusk (operating for over 6 hours when fully charged). 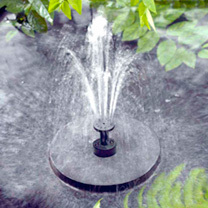 Maximum fountain height 50cm (20). Now if you want to set your garden alight in Summer, our sensational bright citrussy coloured Trumpet Vines are perfect – they look totally tropical, but are actually very hardy, tough and easy too, but flower their socks off in Summer well into Autumn with bright, vivid displays. They are called Vines, but they do not climb, rather leaning against things! This makes them great for growing against sunny walls, trellises, sheds etc where they can easily be fixed or tied in – as they flower best when exposed to sun for most of the day. They will grow in most soils, apart from very wet, and require little care apart from tying the branches in once a year. In Summer, they erupt into the magnificent displays you see here – plastered in bold, bright trumpet shaped flowers that bees just adore. Widely grown in the continent, you may have seen their bold, usually red displays before, but this new breeding is tougher, hardier, more floriferous, and with stronger, new colours too. You will get 1 established plant each of: ‘Indian Summer’ – mandarin orange ‘Gold Trumpet’ – golden yellow ‘Fire Trumpet’ – fiery scarlet red Why not plant all 3 along a fence, wall, or shed for a spectacular display or share them with friends if you haven’t got space for all 3. But do make sure you give them a go.